Members of the Tamaqua Volunteers group help giveaway items dropped off during the last giveaway. Members of the Tamaqua Volunteers group will no longer hold their monthly Donation Drop-Off and Tamaqua Community Giveaways due to the lack of items being dropped off. 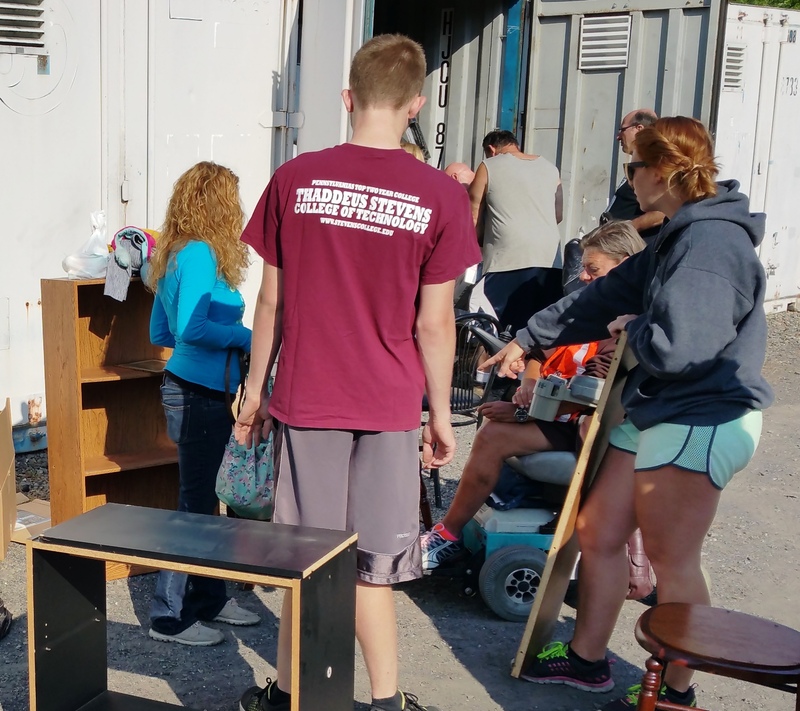 The giveaways, held at M & M Self Storage (next to Schickram’s Car Wash in Tamaqua), are normally held every last Saturday of each month from late spring to mid fall. Over the past 4 months, volunteers said item donations have dropped by more than 80 percent. When the event was started three years ago, an average of 20-30 vehicles would pull up to donate per event. The last three events resulted in a total of only 14 vehicles stopping to drop off items. Organizers added that it simply doesn’t make sense to hold the event anymore. 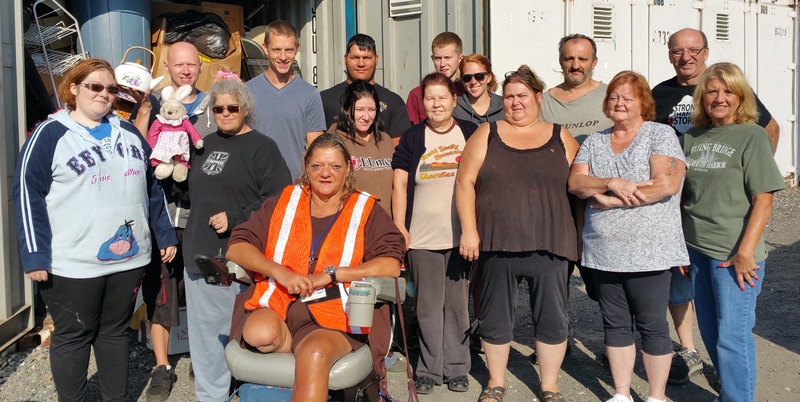 The majority of donations given away over the past few months were primarily gathered by Tamaqua Volunteers members following area flea markets or rummage sales, and not by people dropping off items. 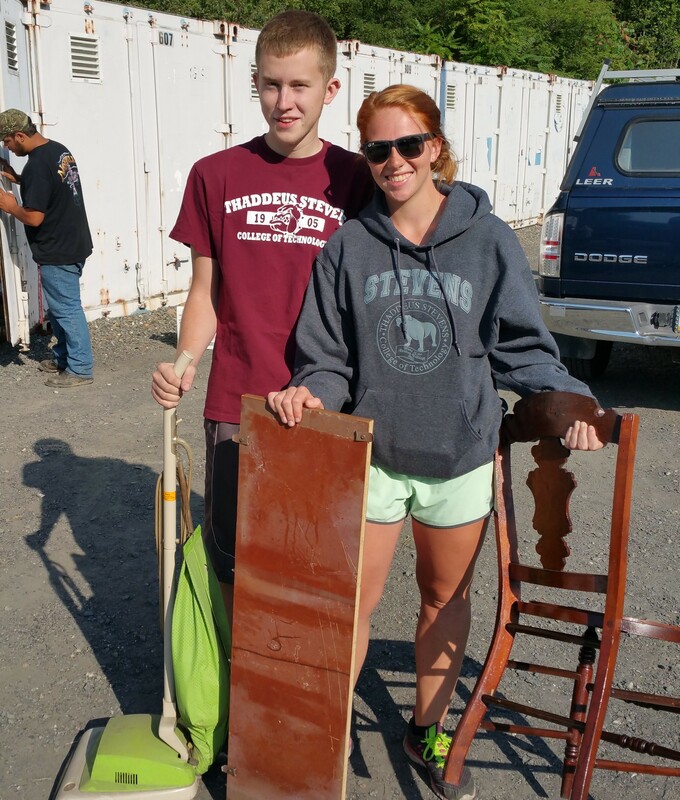 Calvin Shellhamer and girlfriend Rylee Devlin help during the last giveaway event. Instead, the group encourages Tamaqua residents to join two Facebook groups created by the Tamaqua Volunteers group to search for and/or post items. Both group pages are only open to residents who list Tamaqua on Facebook as their home. Use this Facebook group to post items you want to give away. Do not post “in search of” on this page or you will be blocked. Use this Facebook group to type what you are searching for. Users must delete/repost their requests after two weeks. The group said they will still accept (not pickup) larger item donations, like furniture and appliances, for future disaster victims (I.E. fires, floods). Volunteers stress that they will not pickup donations due to insurance, liability and storage reasons. Items must be dropped off; no exceptions. The group adds that donations of clothing are not encouraged, as it is extremely hard to organize, sort and store them. There are too many variations of sizes for kids and adults. If you hear of a disaster, please simply donate a $5-$10 WalMart gift card instead of clothing. That will help the victims find the clothes they need rather than going through bags and bags of used clothing that rarely fit them. For more information, call the group president at 570-668-1234.